Oct. 30 (NBD) -- China's insurance conglomerate Ping An Insurance Group Co of China Ltd (Ping An, 601318.SH) announced on Tuesday it plans to repurchase no more than 10 percent of its publicly issued shares. As of the close of trading on Monday, Ping An's A shares were priced at 62 yuan (8.9 U.S. dollars), with its market value hitting 1.13 trillion yuan (162.4 billion U.S. dollars). The new program is expected to inject over 110 billion yuan (15.8 billion U.S. dollars) to the stock market at maximum, a record amount for a share buyback. The details of the plan are still to be determined, according to another statement. The insurance firm said the buyback is aimed to maintain the stability of the company’s operation, development and stock price and protect the long-term interests of investors. 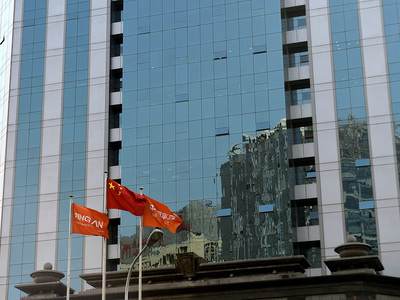 A person in charge of Ping An told NBD that executives of the company believe Ping An shares are undervalued and the company expects to bolster investors confidence via the stock buyback. One day before the new announcement, the company released the financial results for the first three quarters of 2018 in Hong Kong Exchange and Clearing. Ping An's operating profit attributable to shareholders of the parent company surged by 19.5 percent to stand at 85.64 billion yuan (12.3 billion U.S. dollars). The company posted a rapid growth in its core financial business. Ping An's life and health insurance business generated 52.14 billion yuan (7.5 billion U.S. dollars) in operating profit attributable to shareholders of the parent company in the period, up by 23.3 percent year over year. Ping An's move follows the introduction of revised regulations of stock repurchase on October 26. The relaxed rules allow listed enterprises to buy back shares in the purpose of safeguarding value of firms and interests of shareholders. It is noteworthy that about 30 companies have unveiled planned stock repurchases since Friday. Shanghai-listed Hengli Petrochemical Co Ltd, for example, revealed Sunday it will spend 1-2 billion yuan (143.7-287.5 million U.S. dollars) buying back its shares at no more than 18 yuan (2.6 U.S. dollars) per share through auction trading. This year, China's A-share market saw a flood of buybacks. According to financial data platform Choice, a total of 482 listed in Shanghai or Shenzhen have completed 1238 buybacks with worth combined of 27.48 billion yuan (3.9 billion U.S. dollars). With Ping An's funds for its new program, Chinese stock market will receive injection of over 230 billion yuan (33.1 billion U.S. dollars) from share buybacks in 2018. Stock of Ping An rose by 1.29 percent to close at 62.8 yuan (9.0 U.S. dollars) on Tuesday.